Having studied Latin for almost 6 years now, I quite enjoy reading Classical mythology. 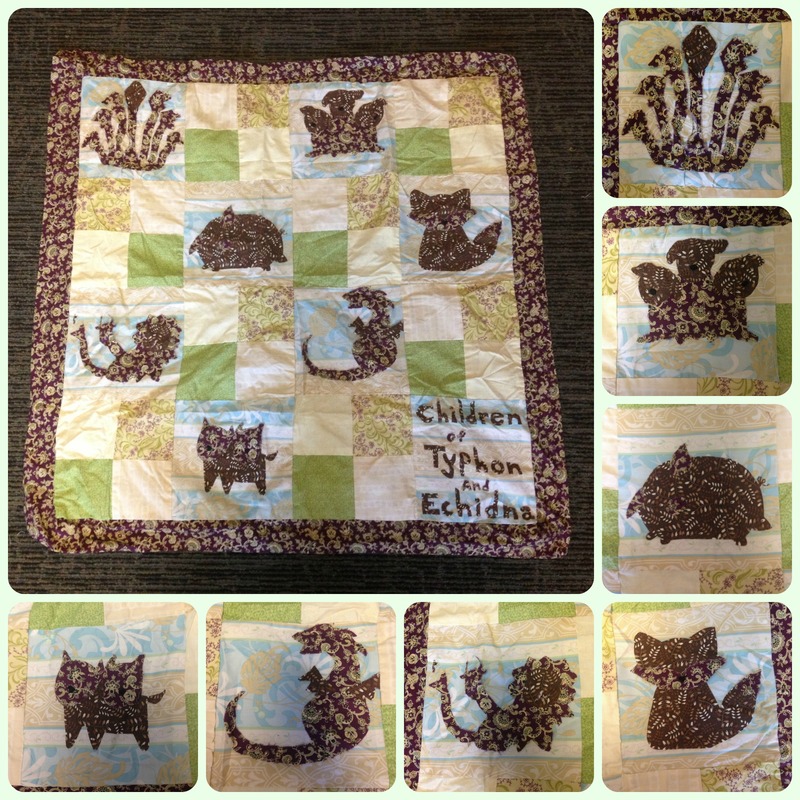 I took a Greek mythology class this quarter, and as a final project I decided to make a quilt depicting the children of Typhon and Echidna, two monstrous beings that plagued both gods and humans. 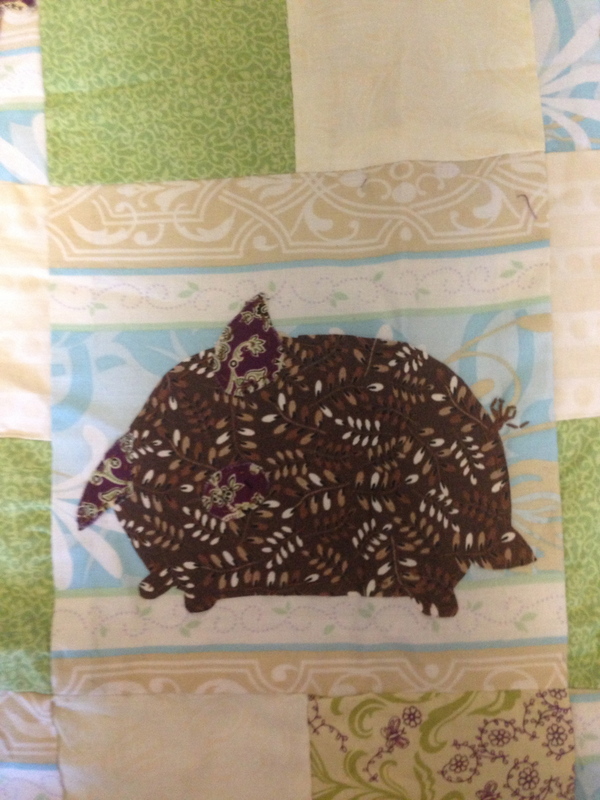 This project was my first time quilting, and it was definitely a learning experience! 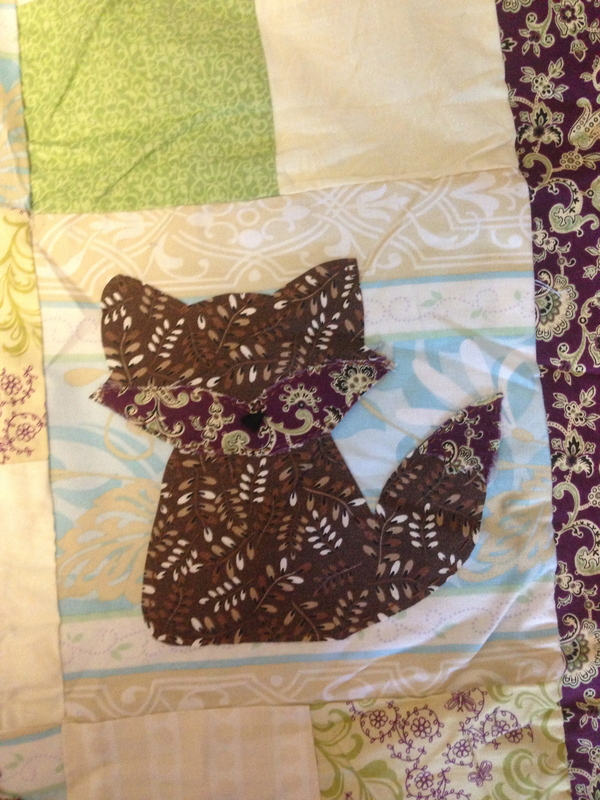 Since this was my first quilt, I decided to use a simple pattern of squares. 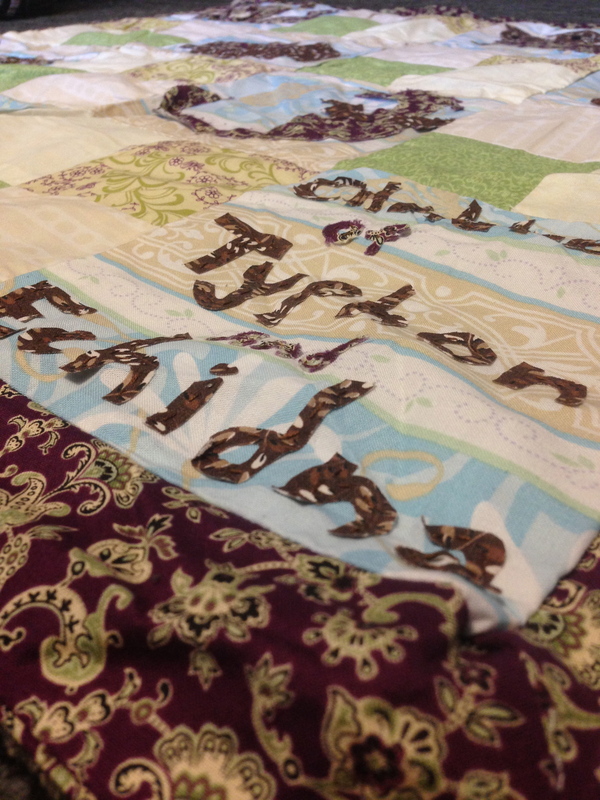 The border ended up slightly wrinkled, so that’s something I want to be more careful about next time. 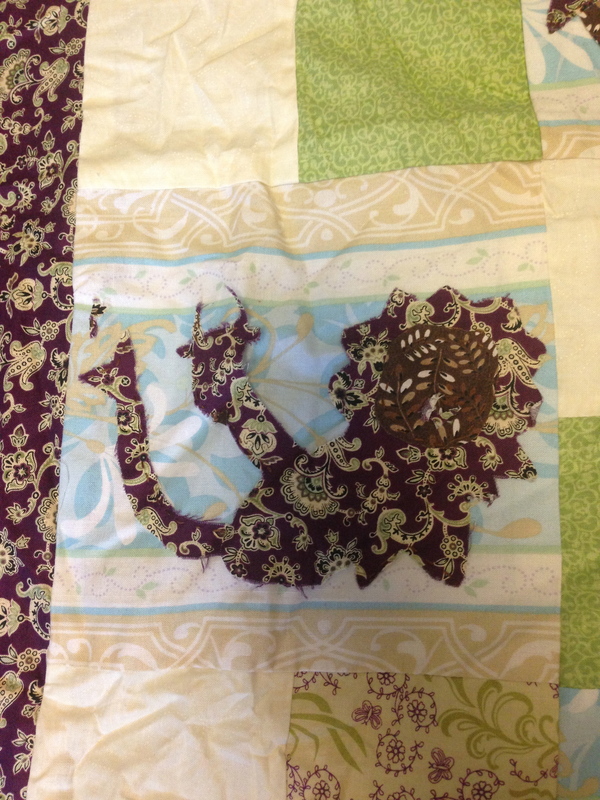 The larger squares have abstract depictions of each monstrous offspring of Typhon and Echidna. The earthy colors and floral patterns represent Mother Earth, Gaia, who ultimately bears all monsters. This square depicts the Lernean Hydra, a snaky, seven-head monster that was ultimately defeated by Heracles (of Disney fame). Every time he cut off one head, two more would grow in its place because the center head was immortal. This square shows Cerberus, the three-headed guardian dog of the Underworld. Woof! This square has the Crommyonian Sow, a very vicious, very grumpy pig that ravaged the land until she was ultimately killed by the hero Theseus. This square shows the Teumessian Fox, a fox that could never be caught. Hunters tried to catch it with Laelaps, a dog that was able to catch anything. The paradox of the unbeatable hound chasing the uncatchable fox resulted in Zeus turning both animals into stone. This square shows the Chimaera, a monster that had the head of a lion and a goat with a snaky tail. It was ultimately slain by the hero Bellerophon. This square depicts the dragon Ladon, which guarded the golden apples of the Hesperides. Heracles slew him on a mission to retrieve the golden apples. 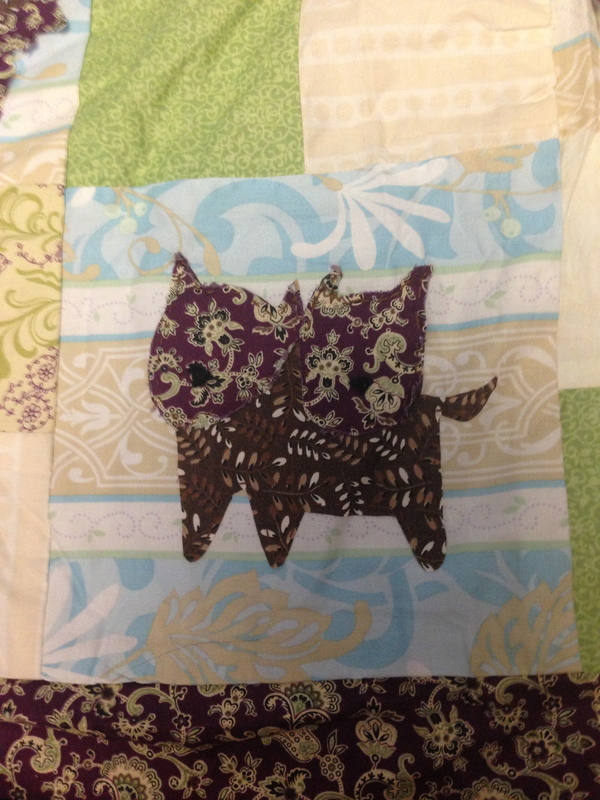 The final square shows Orthrus, the two-headed, much less-famous brother of Cerberus. He was the herd dog of the three-bodied giant Geryon. Both Orthrus and Geryon were slain by (surprise, surprise) Heracles. 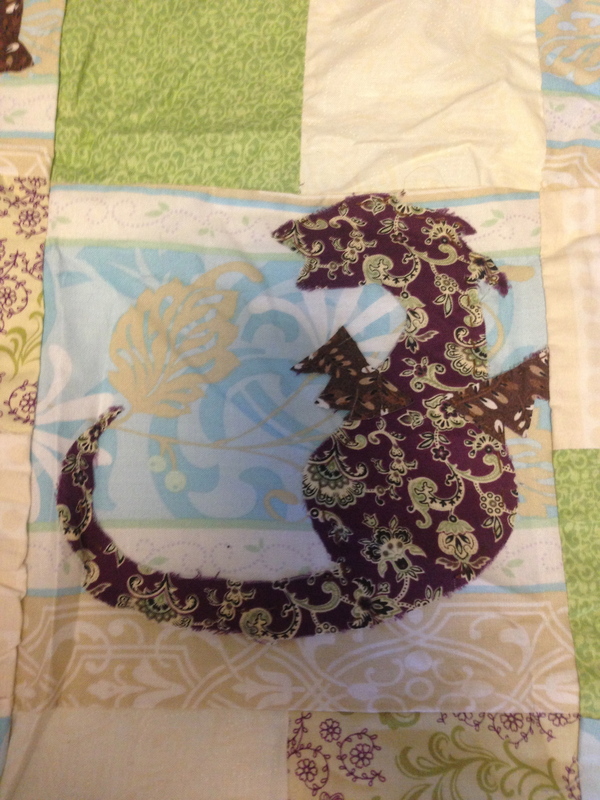 I hope you enjoyed this mini mythology lesson; I had a lot of fun combining my two interests into this quilt (it’d be nice if my professor gave me a good grade as well :)). 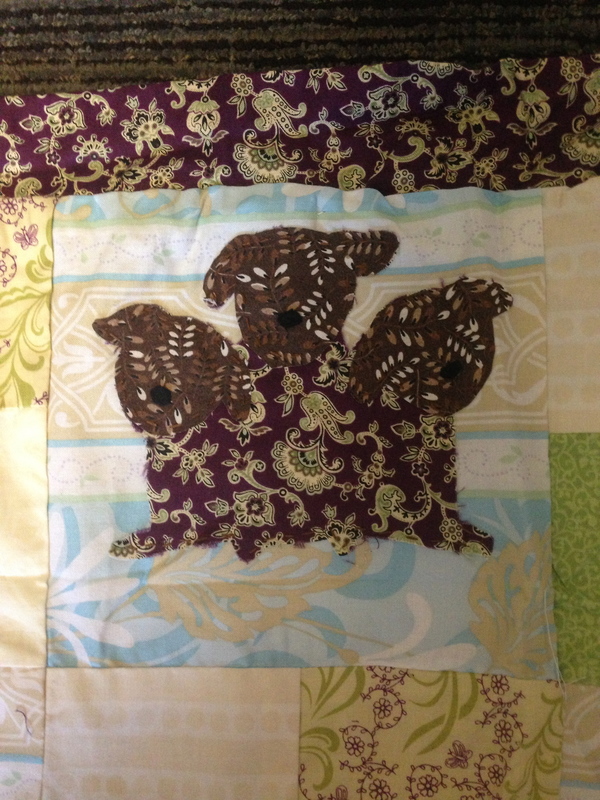 It is pretty small, about 3ft by 3ft; hopefully, I’ll be able to make more complex quilts in the future!